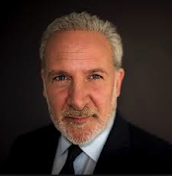 Peter Schiff On The Markets: A Down Year In The U.S. Stock Market? In January, thus far this year the Dow Jones Industrials is down 3.5%. The S&P 500 Index a little bit better, only down 3 percent. They have something called the January indicator, or the January Effect, they say, "As goes January, so goes the rest of the year." I do not how how much validity is there, I do not know how accurate that barometer is. I think it was more accurate in the past, than in the last 10 or 20 years, but , regardless of the January effect, there are plenty of reasons to believe that this would be a down year in the U.S. stock market.